Autism is a pervasive disorder profoundly impacting an individual's life and learning. Unfortunately, it is reaching epidemic proportions in the US, with increases seen in related conditions as well. Innovative Learning Professionals is currently developing a comprehensive alternative approach to the treatment of autism-spectrum disorders. The approach is designed to address issues regarding both learning and daily functioning. The approach is alternative in addressing underlying cognitive, processing, and brain functioning issues. We make the assumption that correcting those issues will result in significant changes in daily life as well. In addition, the direct academic difficulties encountered by people with autism-spectrum conditions will thereby also improve. Our approach is in the initial design phase. Thus far, we are investigating four strong possibilities. Two are currently offered, and the other two will be offered within the next 6 months to a year. Neurotherapy is currently offered at Innovative Learning Professionals. EEG neurofeedback is the most traditional form of neurotherapy. It was developed in university laboratories and is currently becoming available in mainstream practices. The research is focused on improvement with attention deficit conditions. The most common form of neurotherapy involves measuring specific portions of the brain's EEG patterns and using a computer to decipher, translate, and provide feedback to the individual regarding the brain's functioning, with a goal of normalizing that function. Over time, the brain learns to correct itself. An experimental neurotherapy approach shows particular promise for autism-spectrum conditions. It involves HEG (hemoencephalographic) biofeedback, which involves a passive measure of oxygen usage in the frontal portions of the brain. It is nonintrusive and harmless. The theory is that repeatedly creating a greater demand for oxygen use in the brain changes both its function and its structure. It is a major component of treatment at the largest medical center devoted to autism, located in Thailand. Its impact on autism and related conditions appears to be related to improving the efficiency of the brain's processing of social situations, emotions, and nonverbal communication. 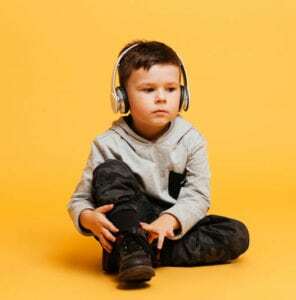 Auditory processing therapies are also showing significant benefit to children with conditions along the autism spectrum. Those programs include Tomatis, Berard's Auditory Integration Therapy (AIT), Sonomas, and Therapeutic Listening. Many autistic children have auditory processing deficits and some also show hypersensitivity to sound. Innovative Learning Professionals is currently researching various approaches to determine which therapy offers the most promise for autistic-spectrum conditions. The listening programs are particularly recommended for the younger children in need of intervention. The implementation of one of these forms of treatment is planned for the near future.